Detox Bio is a food supplement based on herbal extracts and vitamin C.
Artichoke contributes to the detoxification process. Dandelion and nettle contribute to stimulate the elimination function of the organism. 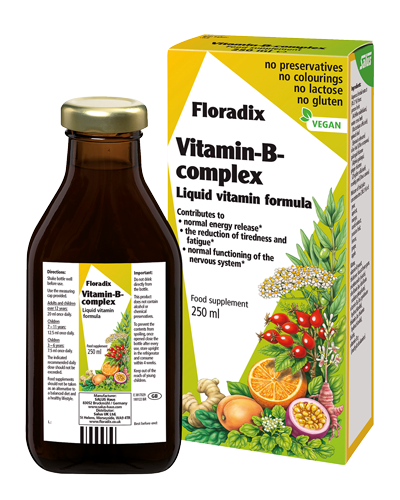 Additionally, Detox Bio contains curcuma, fig-plum extract, ginger and further plant extracts. Vitamin C contributes to the protection of cells from oxidative stress and to energy yielding metabolism. All plants and fruit come from organic agriculture. 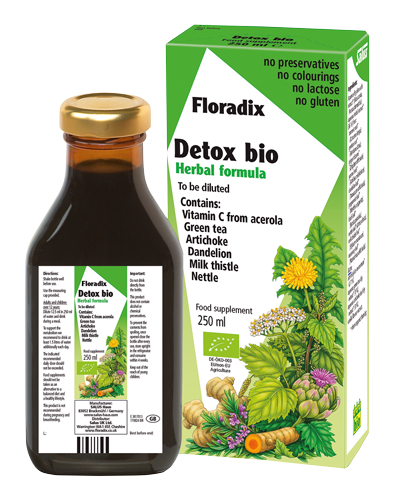 Detox Bio contains no preservatives, colourings, alcohol, lactose and gluten and is suitable for vegetarians and vegans. It is not suitable during pregnancy and breastfeeding. Adults and children over 12 years: Dilute 12.5ml in 250ml of water and drink during a meal. To support the metabolism we recommend to drink at least 1.5 litres of water additionally each day. 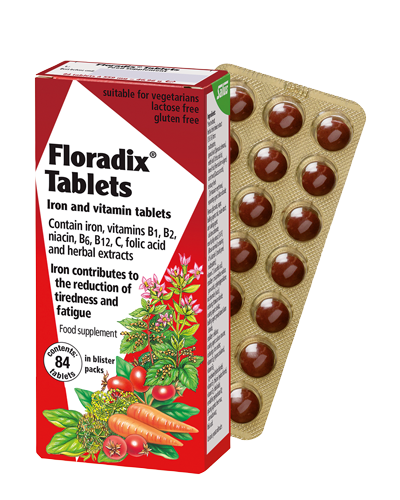 Available from independent health food stores, independent pharmacies or online retailers. Aqueous fig-plum soft extract* (Ficus carica, prunus domestica), aqueous herbal extract* (36%) from: turmeric root* (curcuma longa), gentian root* (Gentiana lutea), ginger rhizome* (zingiber officinale), yarrow herb* (Achillea millefolium), dandelion leaf* (Taraxacum officinalis), peppermint leaf* (menthe x piperita), birch leaf* (betula pendula), nettle leaf* (urtica dioica), milk thistle fruit* (silybum marianum), rosemary leaf* (Rosmarinus officinalis). 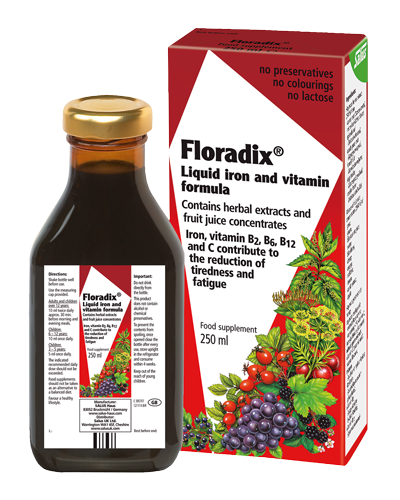 Water, elderberry juice concentrate*, acerola juice concentrate* (2.7%), aqueous green tea dry extract* (1%), aqueous artichoke leaf dry extract* (1%), vanilla flavour extract.